Image: Courtesy of Bodo Hoenen. Design: Ashley Britton/SheKnows. The Super Bowl is one of America’s most beloved sporting events. Every year, hundreds of millions gather to watch the game. And while some tune in for football, others simply want to watch the commercials. Let’s be real; the indulgent, over-the-top spots are a treat. But not every commercial needs a celeb or slapstick-style gimmick to garner attention. One of the best and most powerful Super Bowl ads this year featured children with special needs — to promote acceptance and inclusion, of course. The commercial, produced by Microsoft, focused on the stories of several young video gamers, including Grover, Sean, Taylor, Ian and Owen. 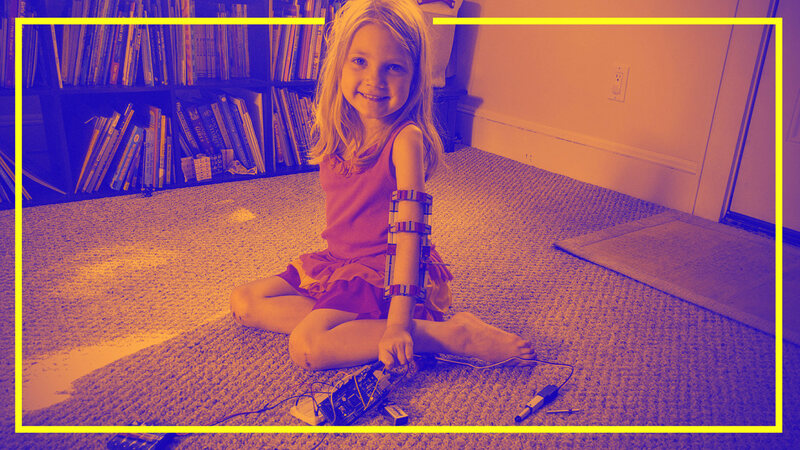 The children all have physical and/or limb differences, which make using a video game controller a challenge, so Microsoft created a new adaptive-play controller that allows kids with mobility differences to play the same way as their peers. That said, the two-minute-long commercial didn’t focus on the controller as much as it did these children and their families. Grover’s mom shared why this technology was and is so important. “You never want your kid to feel like an outsider or an other,” she said. Consumers can find the adaptive controller both online and at numerous retail locations, and it works with a wide range of devices to create a gaming experience that can suit every need.